Heather Young became aware of homeopathy as a mother looking for help for her struggling children who had significant allergies, food sensitivities and general poor health. Homeopathy was the modality that healed her children and set her on the path of seeking for safe, natural ways to heal the body. Heather is a 1998 graduate of the International Academy of Bioenergetic Practitioners. She completed 3 years of study in acupuncture, homeopathy/homeotoxicology, including one year of practicum/internship hours and an original research project on the impact of color frequencies in correcting the Irlen Syndrome (a specific learning disability). Set up your consultation today by giving us a call at 319-400-9554, or using our contact form. Heather Young is also an accomplished author. 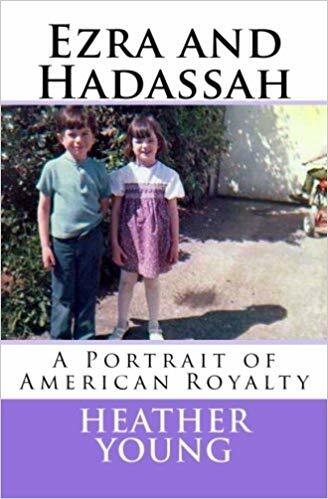 Her book Ezra and Hadassah: A Portrait of American Royalty is the remarkable true story of a family torn apart by circumstances beyond their control. Born to mentally challenged parents, Ezra and Hadassah spend the first years of their lives in foster care while keeping ties with their biological parents. Everything changes when the children mysteriously disappear, leaving their parents with no clue as to their whereabouts. While Ezra and Hadassah fight to survive, their sibling bonds of love are tested to the breaking point. They forge ahead and in the process, find a power of healing beyond themselves.